Thandi Beri is a small hamlet in Bali Tehsil in Pali District. It belongs to Jodhpur Division. It is located 45 km away from Bali. The people of this place are committed towards maintaining the natural beauty of this place. It is imperative for the visitors to imbibe such an attitude as well. Not too far from Ranakpur is an unpaved road that leads to a beauty so pristine that it could leave you speechless. The largely unknown destination of this journey is a forest lodge known as Thandi Beri, literally translating to cool resting place. 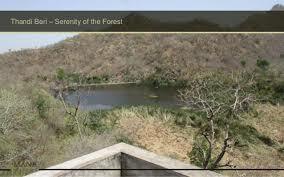 Usually used as a vantage point by forest officials for monitoring the fauna of the neighboring woods, Thandi Beri is largely deserted by human traffic. It is essentially a great vantage point to soak in the untouched natural beauty of Ranakpur and its neighboring regions. It is the most exotic place for a peaceful picnic with our family and friends, overlooking the bounty of nature in Rajasthan. This secluded heaven is best for practicing yoga and meditating in the wilderness for that matter. It is a good spot for trekking as the road leads to Kumbalgarh Fort. This area comes under the Forest Department and is wildlife conservation area. If you stay at the forest lodge at night you will be able to capture the beautiful sight of wild animals which come to drink water at the pond. Monday, 18th July: Plantation day was organized in the school. Students of Eco Club planted plants and flowers like rose, money plant, queen of night, etc. Saturday, 23rd July: As environment week was going on the students promised to plant at least one tree. They brought plants and planted them too that day. Students of Eco Club and Social Service League plucked weeds, cleaned the school campus and planted trees. 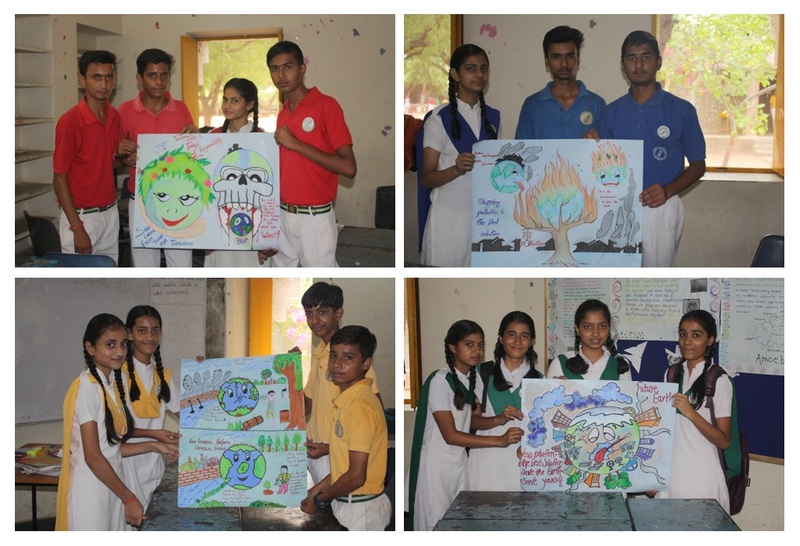 Saturday, 23rd July: Inter House Poster Making Competition was organized for the students of Class VIII- XI. There were four participants from each house. 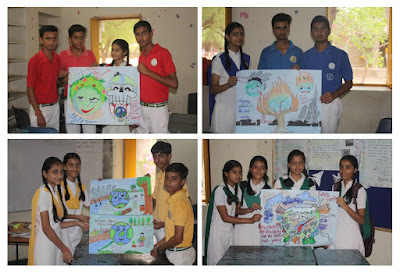 The theme of the competition was Save Environment- Save Future. Students put in their artistic talent and made beautiful posters. Mr. Parth Guin and Mr. Rakesh Kumar were the judges of the competition. Activity Day was observed for the rest of the school. Monday, 18th July: Environment Week was celebrated in school. A Special Assembly was held. Mrs.Prerna Rathod gave a talk on Environment. 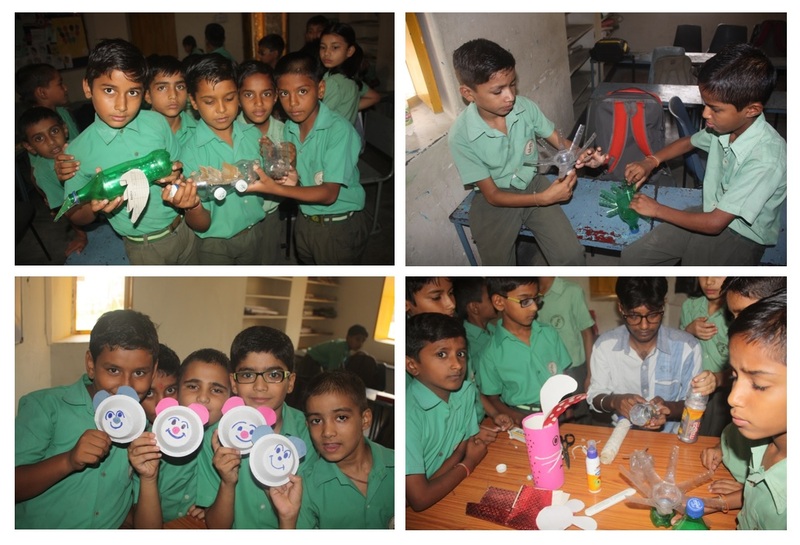 Amrit Choudhary/XI/RH: Spoke about Environment. Bhumika Nagar/XI/RH: Spoke on Our Environment. Deepika Soni/X/GH: gave a short speech on environment. Meenakshi Choudhary / VIII/TH recited a poem on Our Environment. Archana koratkar /VIII/GH recited a poem “Recycle me”. Muskan Rathod /X/TH recited a poem on Trees. ‘Save Trees’. Their performance was outstanding. Students gave the message that all should save trees and plant one tree. Mahendra/VII/DH was the narrator of the skit. Aryan Sirvi/VII/DH played a role of a tree. Meet Soni/VII/RH and Yug Bhati/VII/RH played role of children throwing garbage on trees. Tuesday, 19th July: During the PDP Session the staff attended Skype Storytelling session with Ms. Aparna. The session started with the introduction of the staff. Staff had to tell the meaning of their names or the story behind their name. Ms. Aparna narrated a Chinese folk tale whose moral was honesty. She narrated the tale beautifully and teachers listened to it with great interest. She connected the story with all the subjects –languages, science, math and social science. She also told the staff how the can improve their students writing, speaking and listening skills through story telling. Staff enjoyed the session. The famous tourist place worth seeing around Bali is the Ranakpur Temple. It is 30km from Bali. Ranakpur is a village located in Desuri tehsil near Sadri town in the Pali district of Rajasthan in Western India. It is located between Jodhpur and Udaipur. 162 km from Jodhpur and 91 km from Udaipur, in a valley on the western side of the Aravalli Range. Along with magnificent architecture and numerous pillars, the place is also famous for large population of monkeys that live in and around the place. 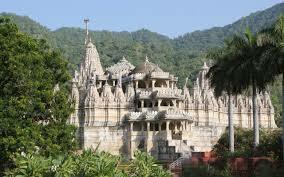 Ranakpur is widely known for its marble Jain temple, said to be the most spectacular of the Jain temples.There is also a small Sun temple which is managed by the Udaipur royal family trust. The renowned Jain temple at Ranakpur is dedicated to Tirthankara Adinatha. Local legend has it that Dharma Shah, a local Jain businessperson, started construction of the temple in the 15th century following a divine vision. The temple honors Adinath, the first Tirthankar and founder of the Jain religion. The town of Ranakpur and the temple are named after the provincial ruler monarch, Rana Kumbha who supported the construction of the temple. Architecture that is used is entirely Western Indian architecture and is quite different from the North Indian Temple architecture. There is a connecting link between Māru-Gurjara Architecture and Hoysala Temple Architecture. In both of these styles architecture is treated sculpturally. Light colored marble has been used for the construction of this grand temple which occupies an area of approximately 60 x 62 meters. The temple, with its distinctive domes, shikhara, turrets and cupolas rises majestically from the slope of a hill. Over 1444 marble pillars, carved in exquisite detail, support the temple. The pillars are all differently carved and no two pillars are the same. It is also said that it is impossible to count the pillars. Also all the statues face one or the other statue. 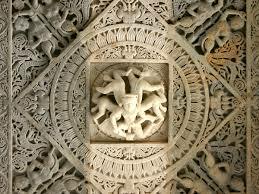 There is one beautiful carving made out of a single marble rock where there 108 heads of snakes and numerous tails. One cannot find the end of the tails. The image faces all four cardinal directions. In the axis of the main entrance, on the western side, is the largest image. The construction is well documented in a 1437 CE copper-plate record, inscriptions in the temple and a Sanskrit text Soma-Saubhagya Kavya. Inspired by a dream of a celestial vehicle, Dhanna Shah, from Ghanerao a Porwal, commenced its construction, under the patronage of Rana Kumbha, then ruler of Mewar. The architect who oversaw the project was named Deepaka. There is an inscription on a pillar near the main shrine stating that in 1439 Deepaka, an architect constructed the temple at the direction of Dharanka, a devoted Jain. When the ground floor was completed, Acharya Soma Sundar Suri of Tapa Gachha supervised the ceremonies, which are described in Soma-Saubhagya Kavya. The construction continued until 1458AD. The temple was renovated time to time. Some famililies supported the construction of devakulikas and mandaps. The descendants of Dharanashah now mainly live in Ghanerao. The temple has been managed by the Anandji Kalyanji Pedhi trust in the past century. Saturday, 2nd July: Welcome back readers! School observed an Activity Day. World Sports Journalists Day was observed in Assembly. Mr. Surendar Singh gave an assembly talk and made the students aware of why that day is celebrated as World Sports Journalists Day. In the first hour the four houses met and had their meeting. They discussed on the activities mentioned in the Annual Calendar for the month of July. Students of IIMUN Club met. They had discussion on the topic ‘Human Rights’. After that the classes attended Music, Art & Craft and Sports Classes. In the last hour teachers carried out Life- Skill lessons in their classes. Listening to mothers and teachers scolding. I am desperately waiting for vacations back. Tuesday, 28th June: The School reopened on 28th June’16. Campus once again buzzed with activity. So, excited students were seen exchanging information about their visits and what they did during their vacations. All in all every student looked fresh and cheerful, ready for a new term. Teachers welcomed the students back to school, asked them to submit their Home Work. We welcome Mr. Gajendra Mewara to the Editorial Board. Staff was asked to read the novel ‘Wanted Back-Bencher & Last-Ranker Teacher by Kavita Bhupta Ghosh’ in summer vacation. The novel deals with difficult classroom situations and how the teacher appointed overcomes these situations by bringing solutions. This novel is a great teacher which will help to develop good teaching practices, cultivate better interpersonal relationships and deliver best learning outcomes. The teachers have read the novel and have made book review of it and given their critical appreciation of the novel. Mrs. Sharmila Vijaywargi and Mrs. Bharti Rao had their birthday in the month of June. Staff wished them a belated happy birthday.